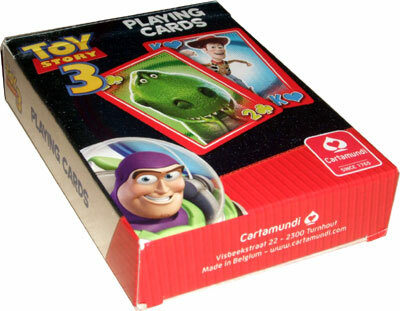 “Toy Story 3” playing cards are based on the American computer-animated buddy-comedy adventure film produced by Pixar Animation Studios and released by Walt Disney Pictures in 1995. These animated playing cards feature full colour illustrations of the favourite Toy Story 3 characters in a matching tuck box. Above: “Toy Story 3” playing cards ©Disney/Pixar Slinky® Dog. Images Matt Probert.